A black baby in the U.S. is more than twice as likely to die before its first birthday as a white baby. In addition to the medical care and access a woman and baby receive, these poor outcomes are also driven by social determinants of health—non-clinical factors such as social, educational, environmental, and economic opportunities that affect a woman’s overall health and wellbeing. This multi-faceted challenge requires a multi-faceted approach. Cross-sector collaborations offer a way forward in their ability to direct multiple actors and interventions toward the same goal. 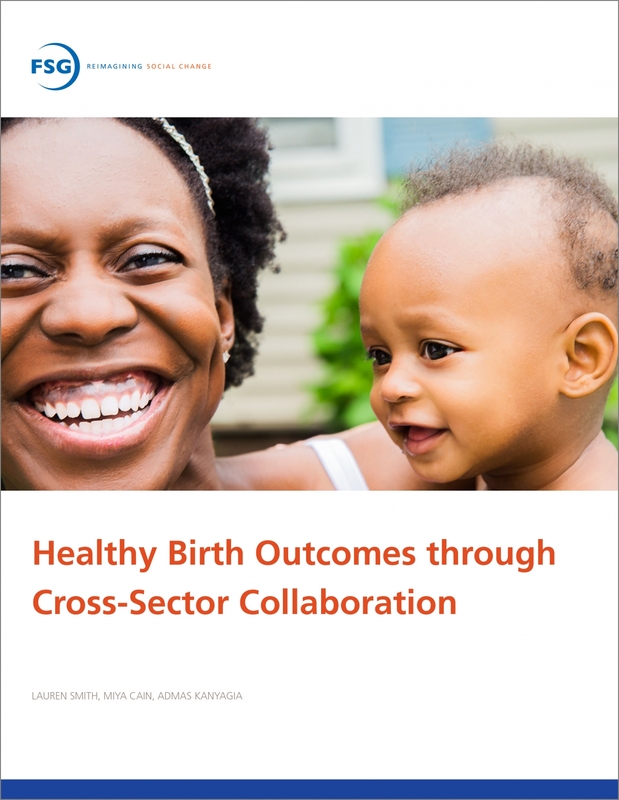 In a new report, FSG highlights lessons learned from two of birth outcomes projects in Fresno County, California, and Staten Island, New York, to offer others insights into paths to success and challenges to be aware of when seeking to address birth outcomes through such collaborations.